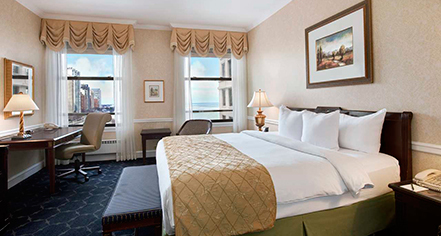 Boasting 535 luxurious guestrooms and 74 magnificently appointed suites, The Drake Hotel has been magnetized as a lavish destination for opulence and true comfort. Guests have come to expect nothing less than the finest in amenities and hospitality from The Drake Hotel. 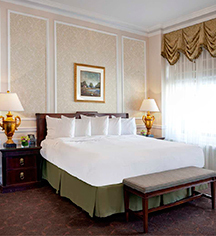 Fitted with high-style furnishings, Italian marble bathrooms, and convenient luxuries, the hotel's elegant accommodations, equipped to meet the need of every guest, has solidified that reputation.